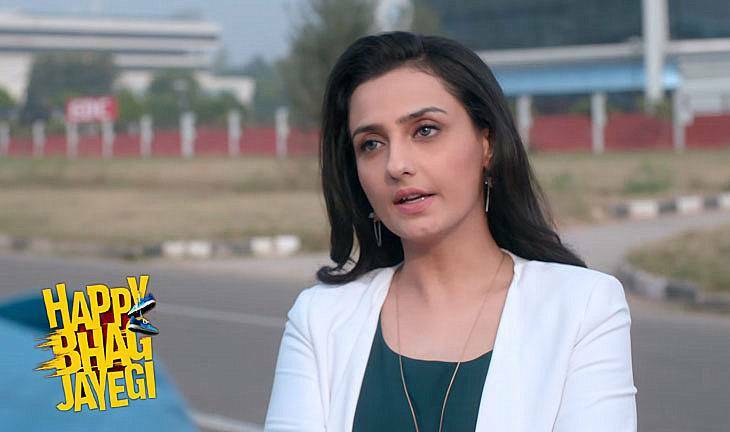 Momal Sheikh’s Bollywood Debut Film – Happy Bhag Jayegi has been banned in Pakistan for showing a portrait of Muhammed Ali Jinnah. Happy Bhag Jayegi is supposed to be Indian-Pakistan love story but it seems love’s path is not as rose-strewn as expected. Pakistan, after dithering over the decision, has finally decided to ban Momal Sheikh’s Bollywood debut film. The film shows Diana’s Happy running away from her marriage and landing in Pakistan by mistake. According to reports, the Central Board of Film Censors (CBFC) had issues with a scene showing a portrait of Pakistani leader Muhammad Ali Jinnah. Anand said the board also had problem with Piyush Mishra’s Pakistani policeman. However, instead of asking for more cuts in the film, the board decided to ban Happy Bhag Jayegi. Anand compared this decision to films like Lage Raho Munnabhai which starred Mahatma Gandhi as a character.